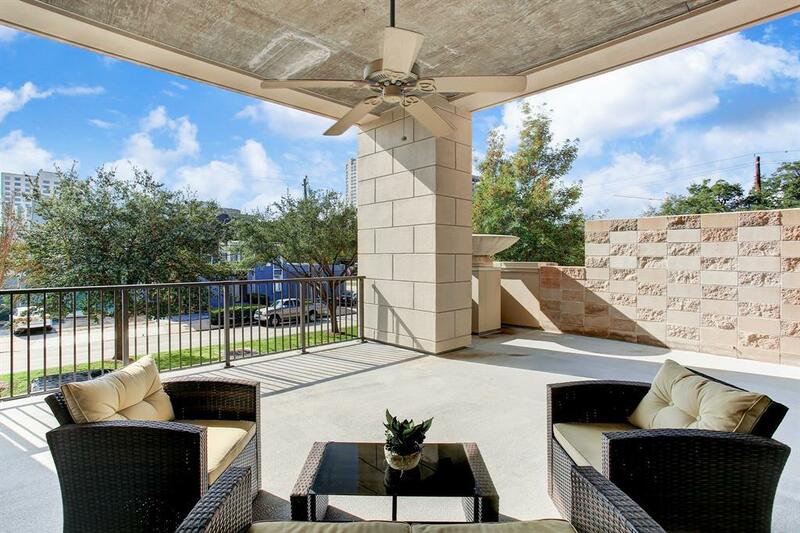 Stunning urban loft located in one of the most desirable Mid-Rises in Houston. 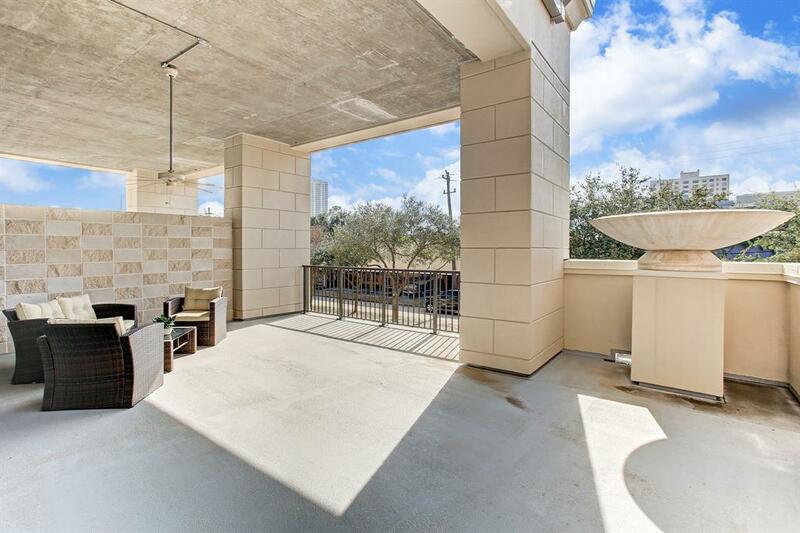 Situated in the heart of the Museum District and Medical Center, close to Rice University, downtown, Hermann Park and few blocks from Metrorail. This charming updated and freshly painted unit features generous granite island/serving bar that opens on to the living area overlooking stupendous terrace, perfect for entertaining, dinner parties or just relaxing and enjoying a cup of coffee or tea. 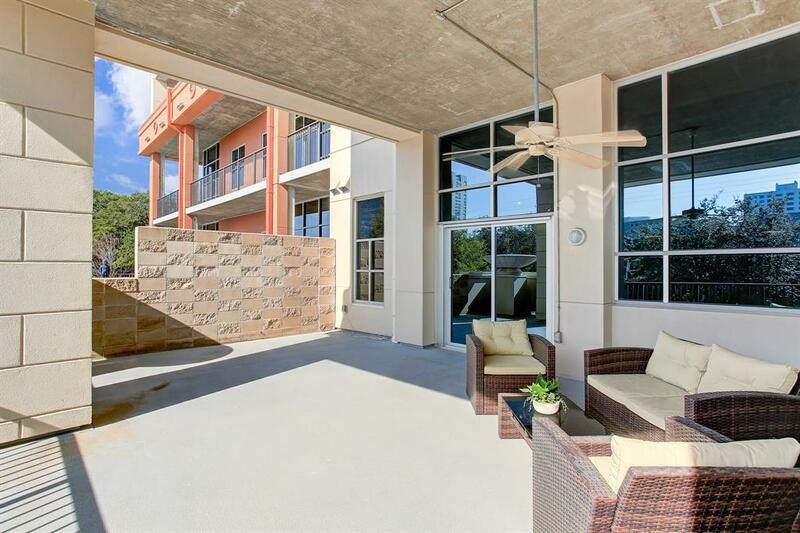 Lots of space for outdoor potted plants, sculptures and outdoor furniture. Splendid spa bath boasts sizable slate walk- in shower, spacious counter with lots of storage. Gleaming hardwoods, updated lighting and wall sconces and more! 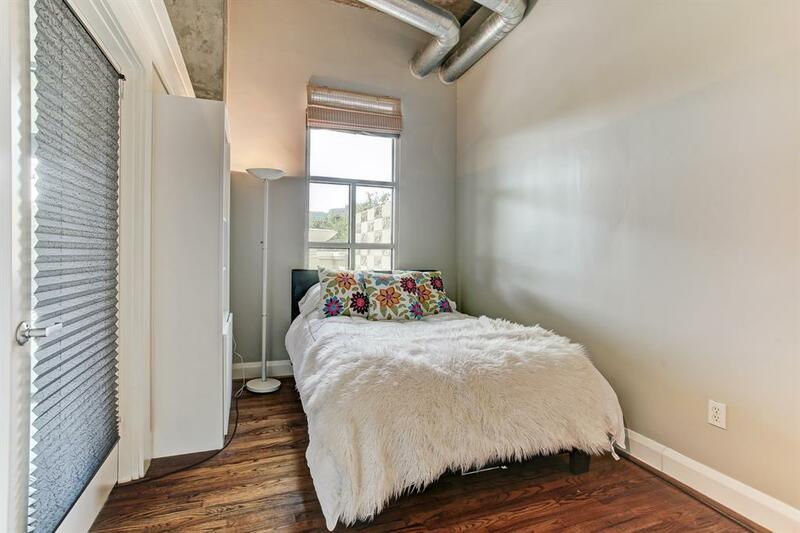 Schedule appointment to see this unique loft before its gone!